We are the #1 Into the Wild Dealer in the U.S. 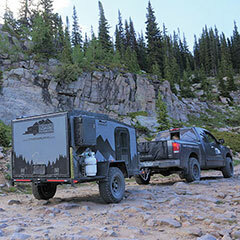 Built for the backcountry, the Into the Wild Overland Boreas XT Trailers can handle the challenges of any adventure. New 2019 composite models are 15% lighter and contain no wood. 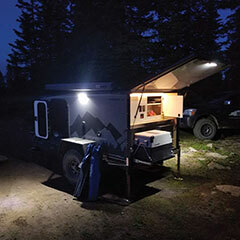 Into the Wild Overland Trailers have it all. 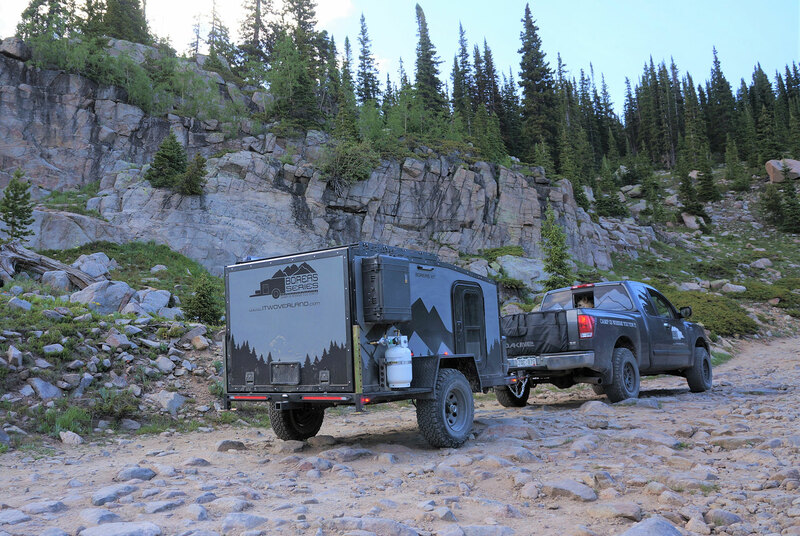 The Boreas XT sports Timbrens’ independent suspension system, off-road tires, and a whopping 23 inches of ground clearance. Challenging terrain is only as much a problem for this platform as it is for the vehicle towing it. 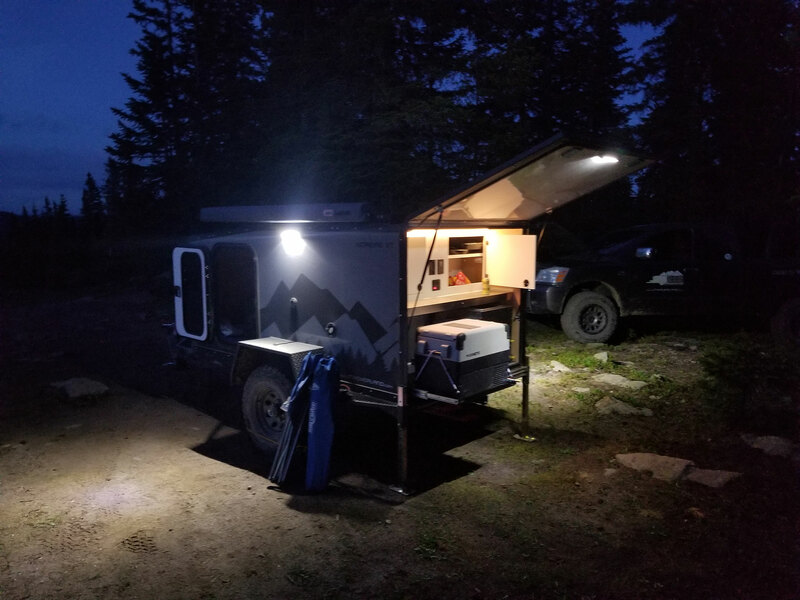 Wild Overland Trailers have on-board water tanks, 100 watts of solar powering, and expandable room to sleep up to 5, so you can have an adventure you’ll never forget. This trailer is coming in at 1,950lbs. The Boreas MXT edition is available as well! 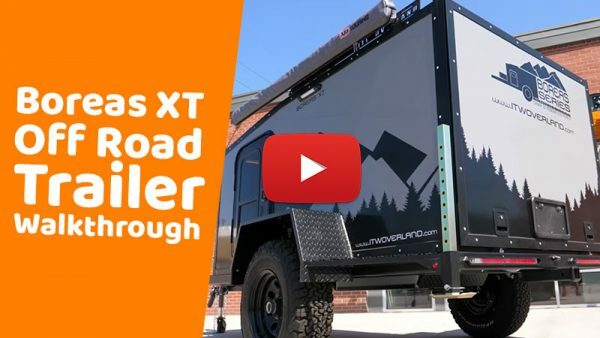 This trailer is designed to carry your dirt/road bike right on the front. This edition is 2,060lbs. 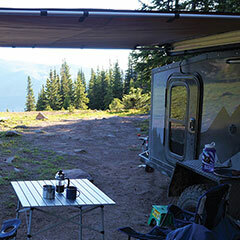 The Into the Wild Overland Trailers are an all around premium trailer for any adventure. The Boreas is the definition of all-terrain. 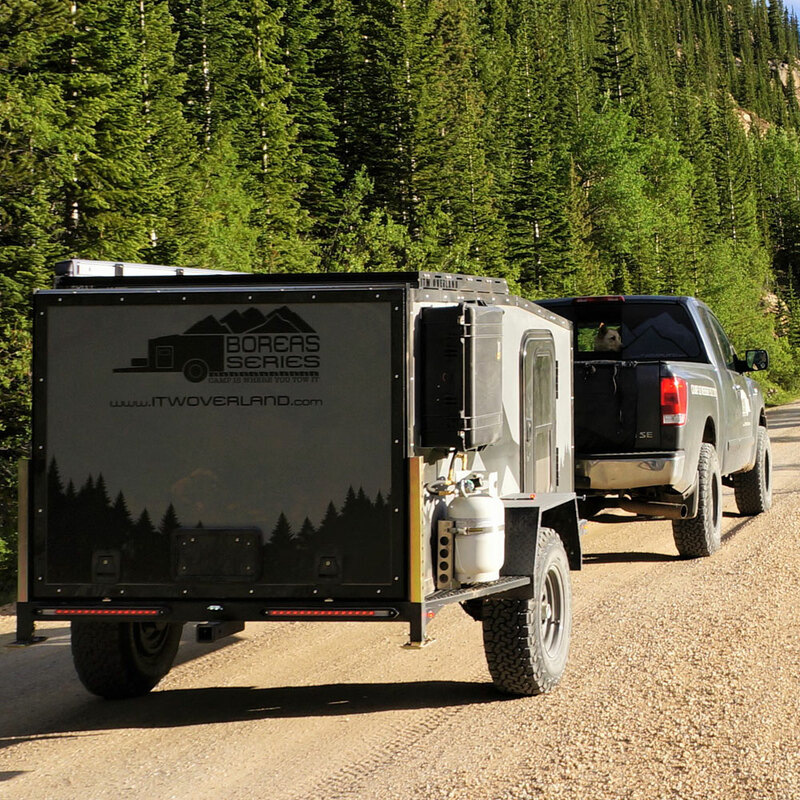 With heavy duty Timbren Axel-Less Suspension and the flexible hitch, there is no where that these trailers can’t go. 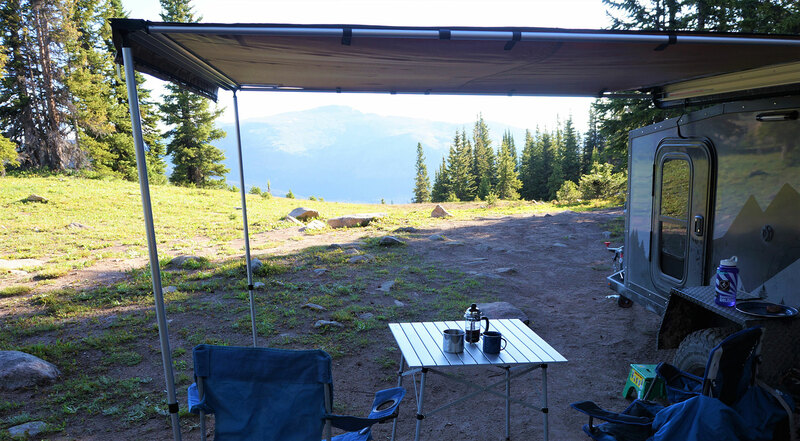 The Overland Boreas comes standard with an exterior awning with optional walls creating a stand-up space for dressing or an enclosed porch to use when the weather is more foul. All the lighting is LED to use less power and give bright light. The kitchen and interior lights are on a dimmer. The stainless steel kitchenette is engineered with lockable, metal, ball-bearing glides for ease of use and quality to last for generations. 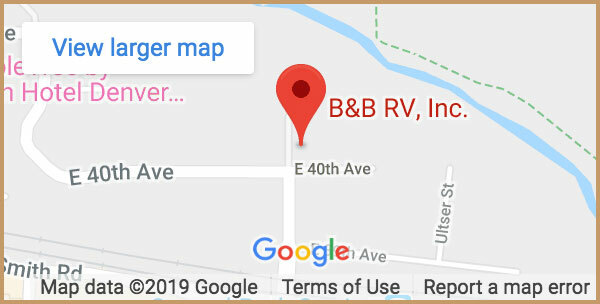 Check out this complete walkthrough given by the owner of Boreas, outside the B&B RV, Inc. dealership in Denver. Hopefully you were not one of the many that placed a deposit on the Inka Trailer. But if you were, you may want to take a look at the functionality and quality of the Boreas. 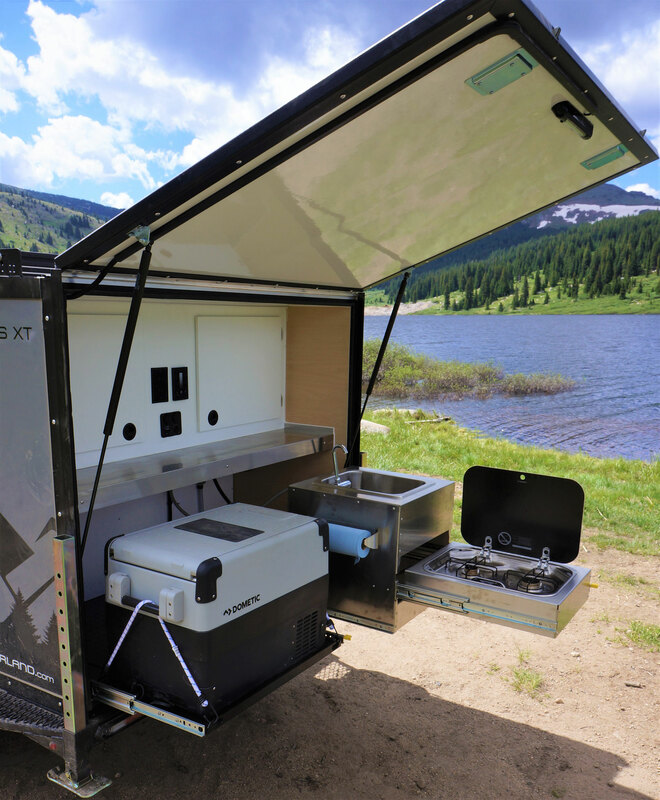 The amenities and quality of the off-road, off-grid Boreas camper are second to none. We try to keep a good number of the Boreas in stock. 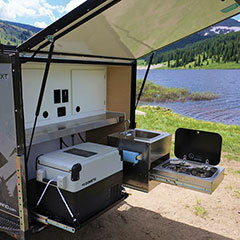 Contact us with any questions or stop by to take a look at the best trailer in the teardrop category.